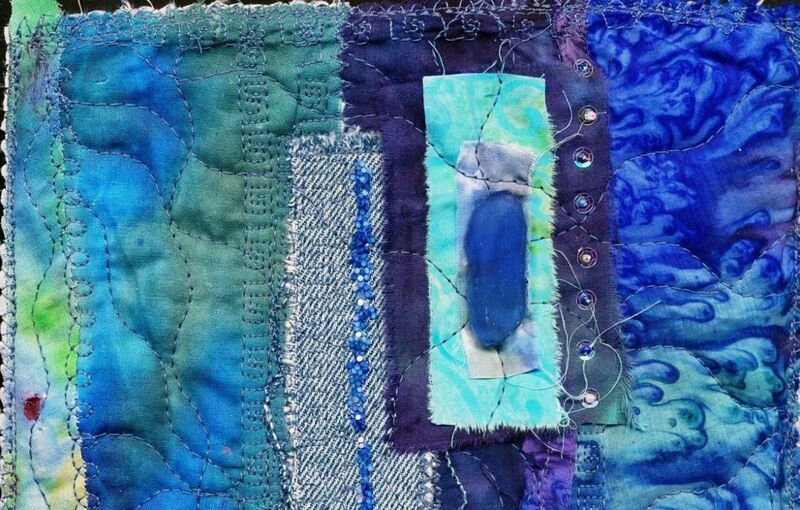 My journal quilt is an exploration of the colour blue and the theme of water while creating an art quilt. 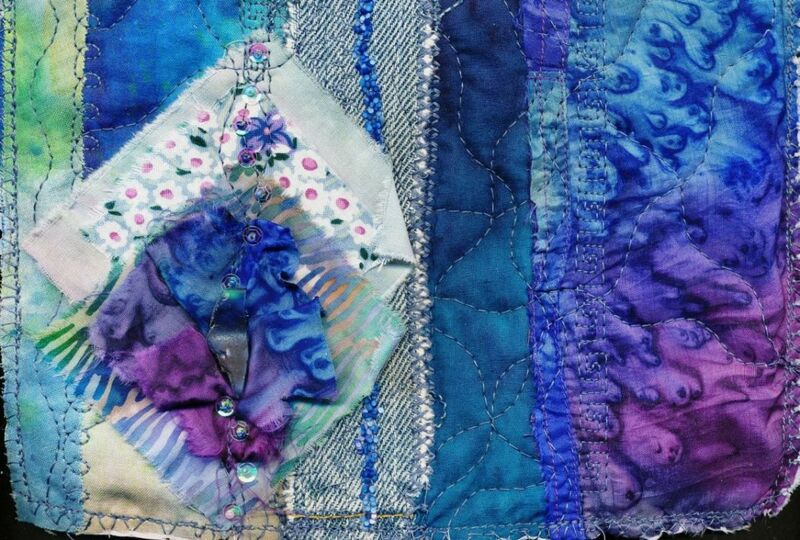 I am not a quilter but more of a mixed media artist who loves fabric! 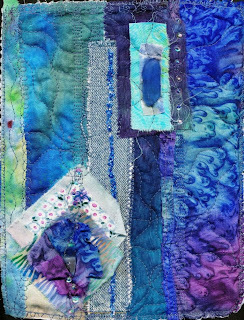 My idea for this challenge/exchange was to work with shades of blue and the feeling that water brings to mind. I gathered various leftover pieces of cotton, some I had painted myself (on the banks of a river) on the left side and a portion of an old silk shirt that looked like water on the right side. I ripped and snipped pieces of fabric to fit the 8 1/2" X 11" size and stitched them together using various stitches to a piece of batting. 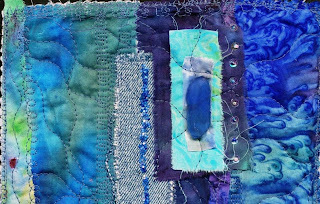 One of my main stitches was a large wavy one that I used across the piece. 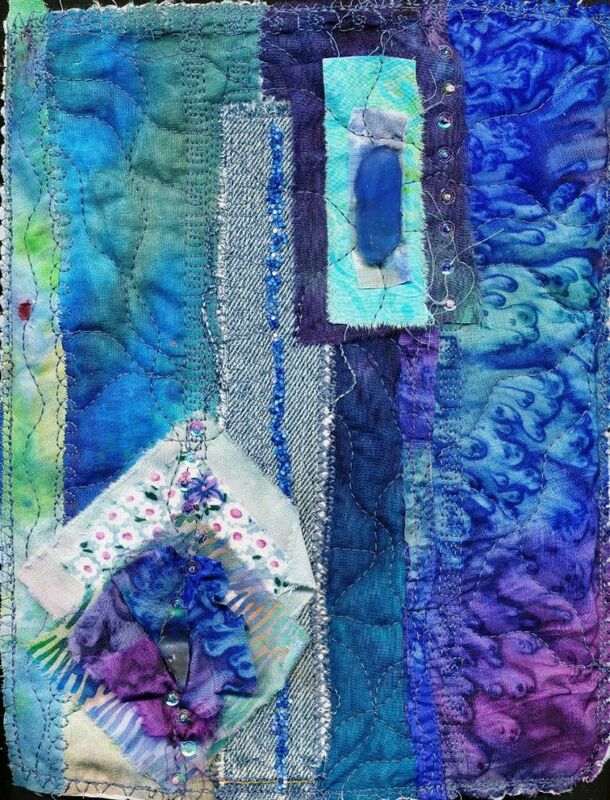 To embellish the journal quilt I added a line of mini mosaics in blue and 2 pieces of sea glass, attached to the fabric with extra strong glue. I also sewed on iridescent sequins and tiny seed beads. To finish my journal quilt I sewed a piece of watery light blue fabric to the back by stitching around the edges of the quilt.